With over 1 billion users and a 70% open rate, WhatsApp is every marketer’s dream. Yet very few companies have been able to implement successful marketing campaigns on the world’s most popular messaging app. This may be because WhatsApp was designed mainly for personal communication. For most of us, the halls and corridors of our Instant Messaging apps are lined with private, personal, intimate conversations. So as you would imagine, finding the right balance between advertising on Instant Messaging and striking a casual / interactive conversation with your customers can be quite tricky. But there are some brands that have managed to get the perfect mix of everything. So what was it about their campaigns that made them so successful ? 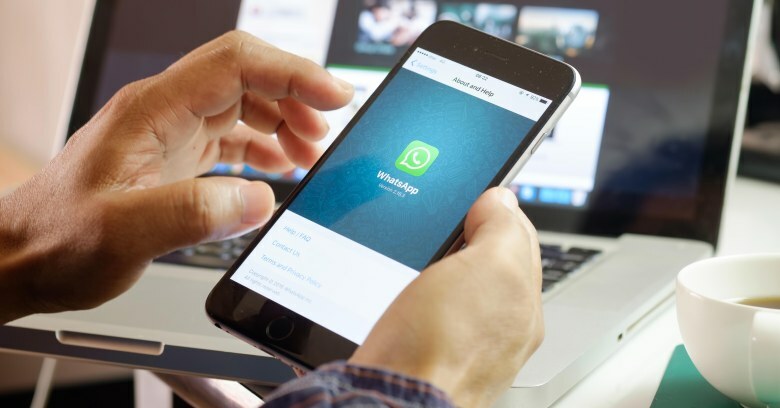 To answer this question, we examined 5 of our best Whatsapp campaigns to find out what they did right or better yet, what they didn’t do wrong. If there is one campaign that we absolutely loved it’s this one from Absolut Vodka. Back in 2013 the company launched ‘Absolut Unique’ a limited collection of their brand. To celebrate the launch, they hosted an exclusive party and only two invites were available to the general public. To bag these invites, customers would need to send a WhatsApp message to a designated number and interact with a virtual doorman called ‘Sven’. The trick was to be as creative as possible and convince Sven why you deserved the tickets to the party. Apart from being creative and interactive, the campaign was also extremely fun and funny. Users sent everything from crazy videos to the most hilarious voice notes you could possibly imagine. The campaign which took place over 3 days, saw the company interact with over 600 users and receive more than 1000 image, video and audio messages sent to convince ‘ Sven ’. Warning ! The Liquor Ticker is a perfect example of genius and creativity, please try this at work!! Implemented in a popular Delhi restaurant by India’s leading ad agency Dentsu Webchutney, the liquor ticker concept featured a running ticker in place of a WhatsApp status and a GIF in place of a profile picture. The ticker displayed new offers , new logos, new menus, new gigs to contacts who had saved the Cafe’s number. To communicate on new offers, the restaurant created a “ blinking status” that was enough to catch any body’s and everybody’s attention. All the user had to do was save the restaurant’s number and update their WhatsApp contact list. The campaign saw the restaurant’s enquiries go up by a staggering 117% while the sales shot up by 28% during the campaign period. Launched in 2015, Persil Kufua Expert Campaign was a campaign run in Kenya that asked Persil users around the country to send in 15 second videos of their best washing tips via Whatsapp. They ultimately went with this brilliant WhatsApp campaign that was interactive and collaborative. Users with the best tips were then rewarded with gift vouchers and persil hampers. One thing we loved about this campaign was the simplicity and effectiveness of it all . The message and instructions were clear and concise therefore, easy enough for the audience to understand and take part in. Fans watching the game and enjoying a Heineken would send the word “Champions” to the Heineken WhatsApp number, after confirming they were above 18 they would be asked 5 random football trivia questions. Correct answers would automatically send them to the next question, 5 correct answers would add them to a draw where they stood the chance to win the trip of a lifetime. No conversation on 21st century marketing is complete without mentioning the Share a Coke campaign which took the world by storm. The campaign which connected with consumers on a personal level involved replacing the brand’s logo with consumer names. The campaign’s success in Africa inspired us to run a weekend hackathon to answer the question ” Can you share a Coke on WhatsApp ? ” 48 hours later we had the answer. Using our custom API we built a robot that could receive a name via WhatsApp and automatically send you back a virtual Coke bottle with your name on it ready to share. We shared this with a couple of friends to test it out. Within 2 days the secret was out and the numbers too, over 7000 virtual cans were created with over 1000 people messaging the robot on WhatsApp. We eventually had to shut down the experiment and only imagine how big it could have grown with some official endorsement. Talk to your users when they talk to you. Acknowledge their texts and respond to any questions that they may have. E.g: The Absolut Vodka case and Heineken case. 2. Encourage user opt -in. Make sure users save your number or contact you first E.g: The Liqour Ticker case – this reduces the chances of your number being blocked or marked as Spam. Make it easy for your customers to understand what the campaign is about and the instructions that they need to follow.